In March of 2014, Kobe Bryant invested in sports drink company BodyArmor for the first time. Over the next four and a half years, he put about $6 million of his money into BodyArmor eventually owning a 10% stake in the company. And now, his investment is paying off in a huge way. BodyArmor, which markets itself as a healthier alternative to Gatorade, is projected to surpass $400 million in sales this year. When Bryant invested, they had totaled $10 million in sales the previous year. 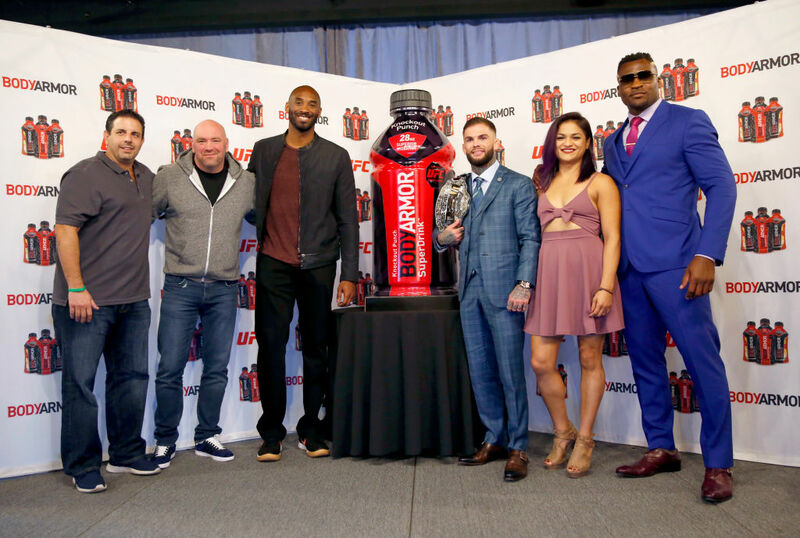 Coca-Cola just announced it purchased a minority stake in BodyArmor. Coca-Cola's investment valued the company at $2 billion. That means Kobe's $6 million 10% stake is worth $200 million today. FYI, that's a 30-fold increase in six years. Bryant invested in the company the exact same day he announced his new company, Kobe Inc. Since then, he's started a $100 million venture investment firm with entrepreneur Jeff Stibel. Bryant has even won an Oscar via his production company, Granity Studios. The studio's "Dear Basketball" film won for Best Animated Short at this year's Academy Awards. BodyArmor founder Mike Repole also sold Glaceau, the company behind smartwater and vitaminwater, to Coca-Cola in 2007. That deal was worth $4.1 billion. Other athletes will be getting a nice bonus, too. Several professional players have equity stakes in BodyArmor as part of their respective endorsement deals. Guys like James Harden, Andrew Luck, and Dustin Johnson could all earn more than $1 million from Coca-Cola's purchase. Bryant's return on investment is among one of the most impressive ever for an athlete. LeBron James invested less than $1 million into the pizza chain Blaze; that investment is now worth more than $40 million. That's a higher percentage, but Bryant will be earning about five times as much money. Kobe's BodyArmor stake pushes his net worth above the $500 million mark for the first time. It seems Bryant is doing just fine in his post-basketball career.